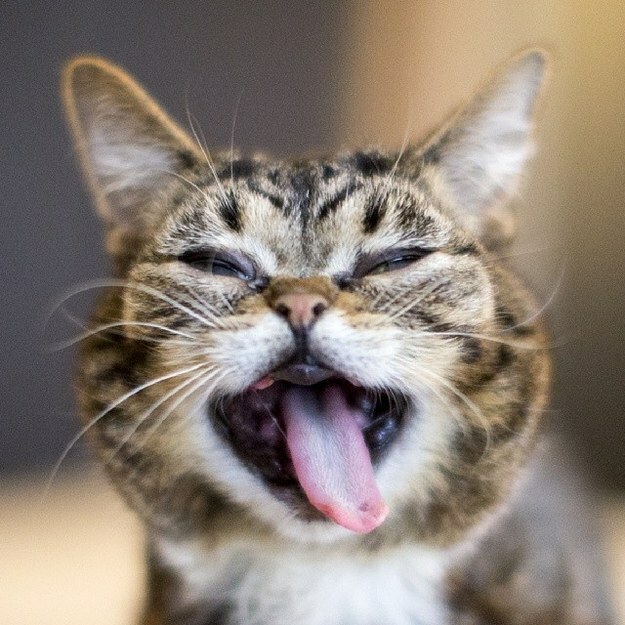 Lil Bub is damn cute, but this cat has some SERIOUS problems. Isn’t she just a little peach? Awww. Scientists want to find out why Lil Bub looks the way she does, so they successfully crowdfunded a campaign to sequence Lil Bub’s ENTIRE GENOME. It will cost approximately $6,000 to sequence the cat’s genome. The process involves extracting DNA from a blood sample and analyzing the genome at the Max Planck Institute for Molecular Genetics, according to the project’s page. The scientists want to discover what DNA mutations led to Lil Bub’s looks, which are unfortunately a sign of developmental issues. 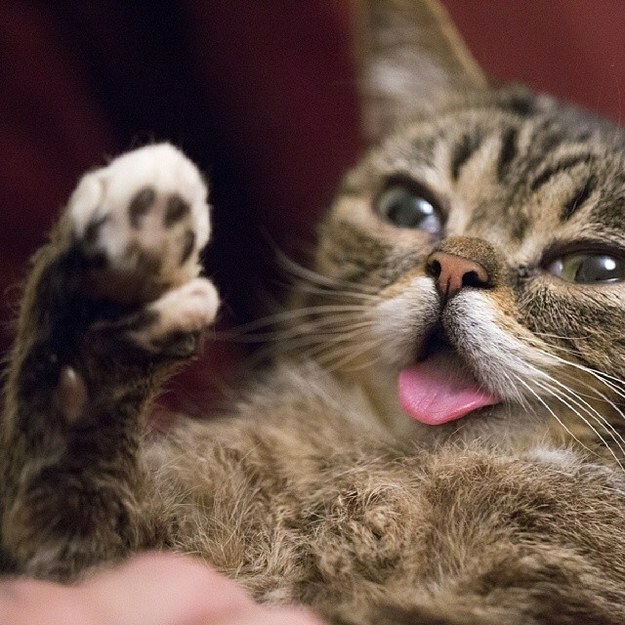 The scientists are hoping to find out why Lil Bub is a polydactyl cat, which means she has extra toes on her paws. Lil Bub has six digits on her forelimb paws and five digits on the hindlimb paws. Cats usually have five and four toes on their paws. They also want to know why she she no teeth. Scientists said that her bones grew very quickly, and her snout didn’t have enough time to grow to its proper length before the connective tissue (cartilage) between the bones was formed. This probably stopped her teeth from growing through her jaws, according to the project’s page. And they want to understand why Lil Bub has a peculiar type of bone, called Erlenmeyer flask bones. On the right, you can clearly see a bone cavity in the X-ray of a normal cat. But, in Lil Bub’s X-ray on the left, you see mineralized bones that are very thick at the ends instead of a normal bone cavity. 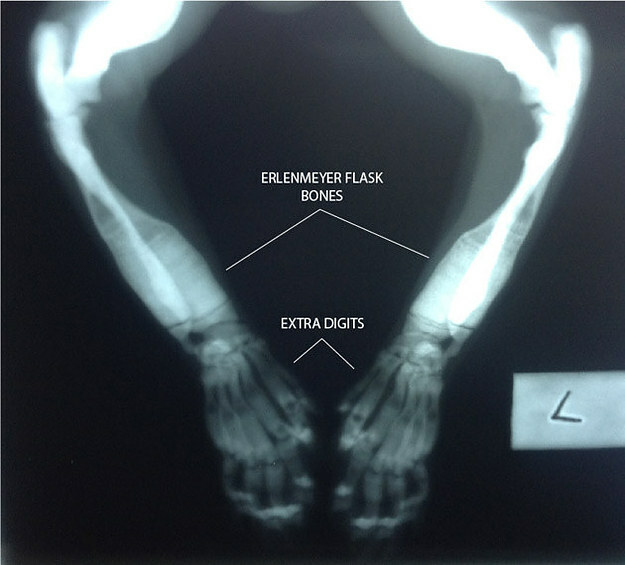 This is called Erlenmeyer flask bones, and some humans also have the condition, according to the project’s page. The scientists want to know if there’s a specific mutation that causes the condition in humans and cats. Genetic mapping can help us understand why cats AND humans get rare diseases. Check out the project’s blog for updates about their research.